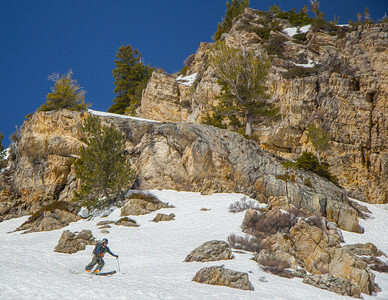 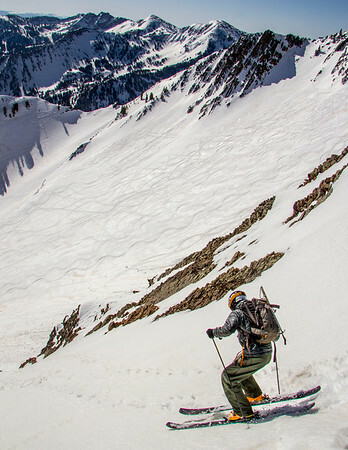 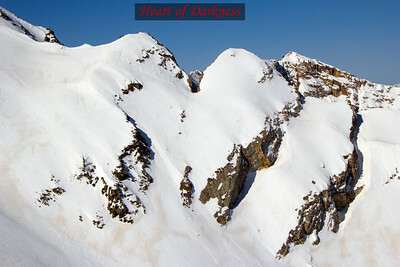 Backcountry ski mountaineering adventure to Cardiac Ridge Thunderstruck chute. 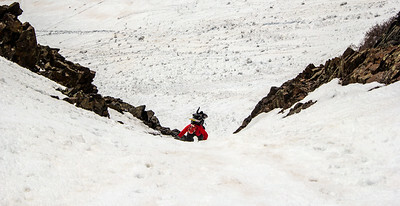 A steep and narrow chute only suitable for expert ski mountaineers. 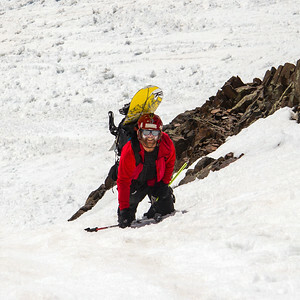 Blake takes a moment before plunging his Ice Axe back into the snow for purchase on the steep Thunderstruck Couloir. 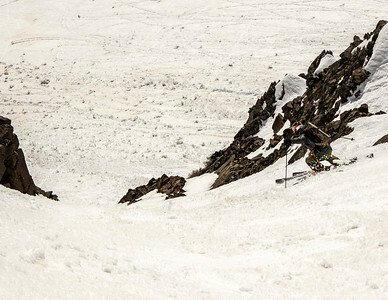 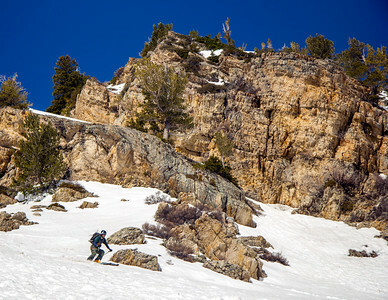 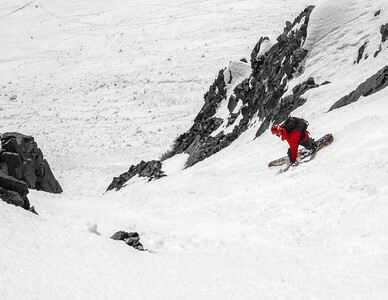 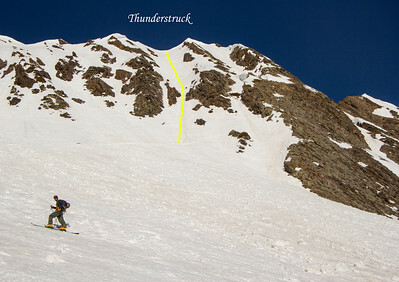 A tight couloir with a steep 48-degree pitch. 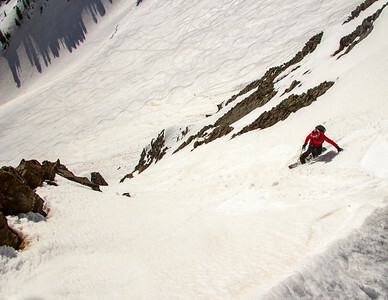 Blake slays the Little Feat chute on the way back from Thunderstruck couloir. 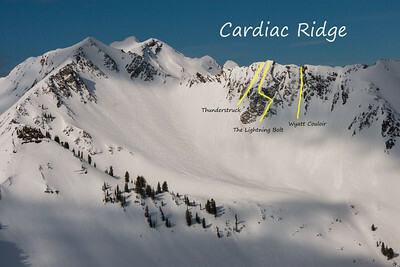 Cardiff Ridge. 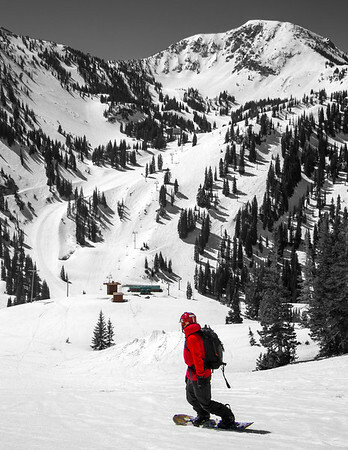 Sorry Blake, snowboarders are not allowed on the hallowed slopes of Alta & Mount Baldy. 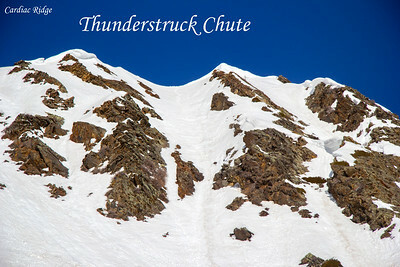 Mike skis down and approaches the choke of Thunderstruck chute. 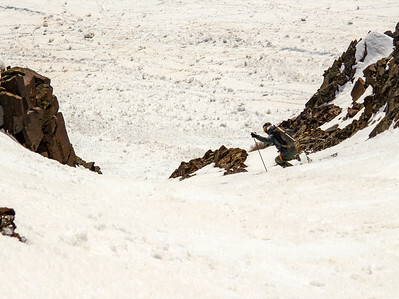 After picking out his route, he straight lined the choke and skied it like a hero. 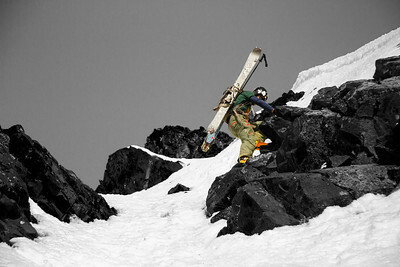 Turned this photo into an Oil painting. 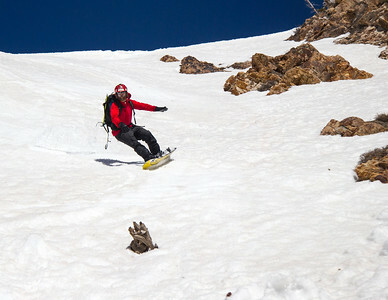 Mike skis the chutelette called Femme Fatale off Cardiff ridge.